HSE National Ambulance Service (NAS) - Jobs Expo Dublin. We are proud to have the HSE National Ambulance Service (NAS) participate in Jobs Expo Dublin this Saturday at Croke Park. Their team will be exhibiting at the Hogan Suite on Saturday 13th October from 10am to 4pm. The HSE National Ambulance Service (NAS) is the statutory pre-hospital emergency and intermediate care provider for the State. In the Dublin metropolitan area, ambulance services which are funded by the HSE are provided by the NAS and Dublin Fire Brigade. The NAS responds to over 300,000 ambulance calls each year, employs over 1,600 staff across 100 locations and has a fleet of approximately 500 vehicles. In conjunction with its partners the NAS transports approximately 30,000 patients via an Intermediate Care Service, co-ordinates and dispatches more than 850 aero medical / air ambulance calls, completes 700 paediatric and neonatal transfers and supports Community First Responder Schemes. 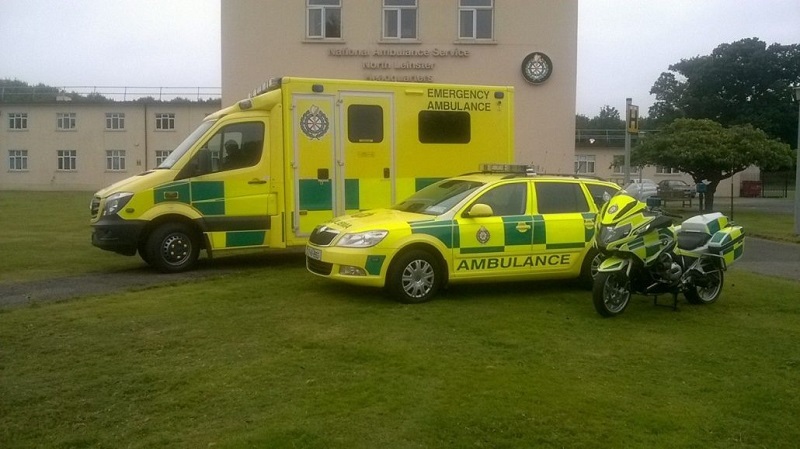 The NAS has developed a strategic plan, National Ambulance Service Vision 2020 Patient Centred Care 2016-2020. Through its implementation, the service will move towards a more multi-dimensional urgent and emergency care provision model which is safe and of the highest quality. This is in accordance with international trends, the desire to implement the recommendations of the various reviews into the service and the ultimate aim of improving patient outcomes whilst ensuring appropriate and targeted care delivery. Manning the NAS stand will be frontline grades from the service along with representation from NAS HR Department and the National Emergency Operations Centre. The NAS will be able to provide you with an insight from the recruitment process right through to what it is like to work at the frontline of a National Emergency Service.